Double boiling ring portable gas stove with FFD. Maximum output per burner 2.5 kW. 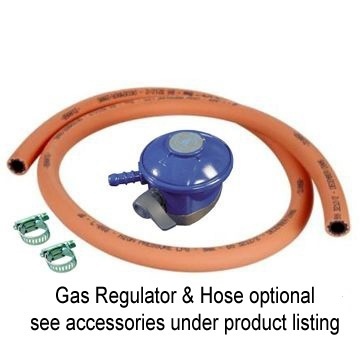 Use propane or butane Calor gas bottles. 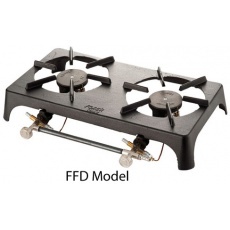 FFD flame failure device thermocouple version. 55 cm x 29 cm.